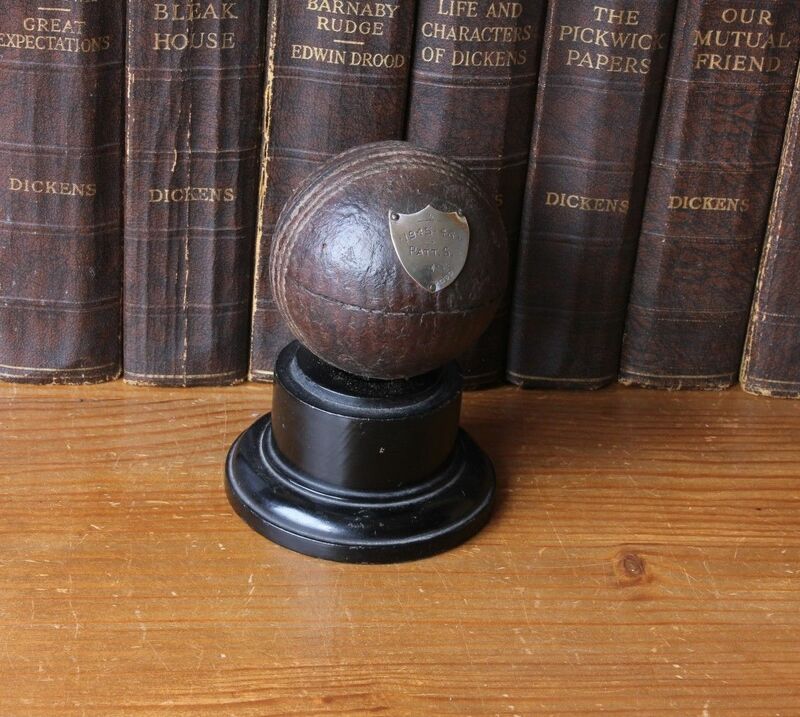 Old Mounted Brown Leather Cricket Ball Trophy with Silver Plaque 1945 1946. 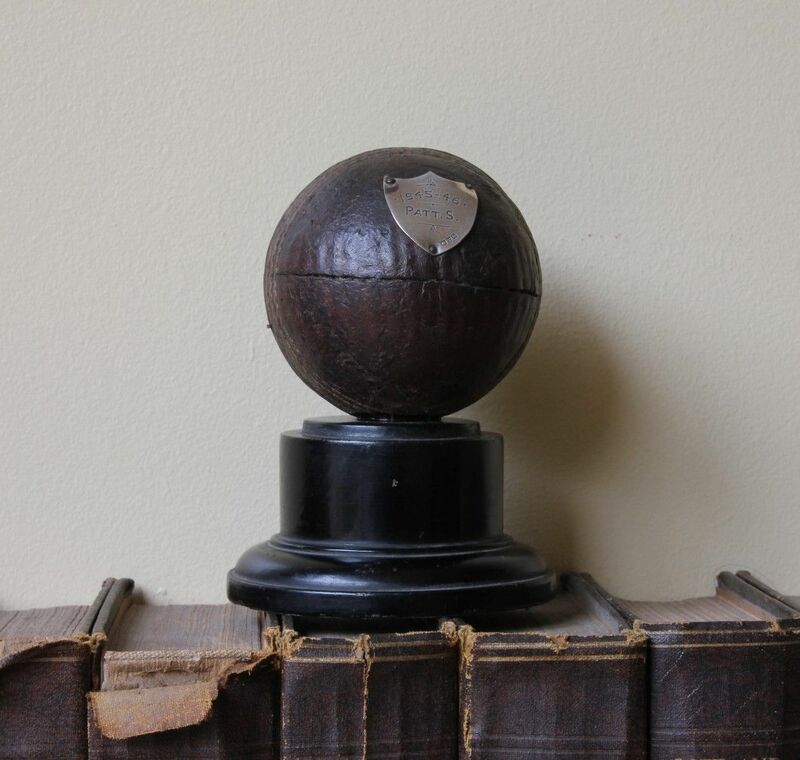 This Cricket Trophy is in the form of an old brown leather cricket ball which has a wonderful patina and bears a hallmarked sterling silver plaque that reads "1945 . 46. 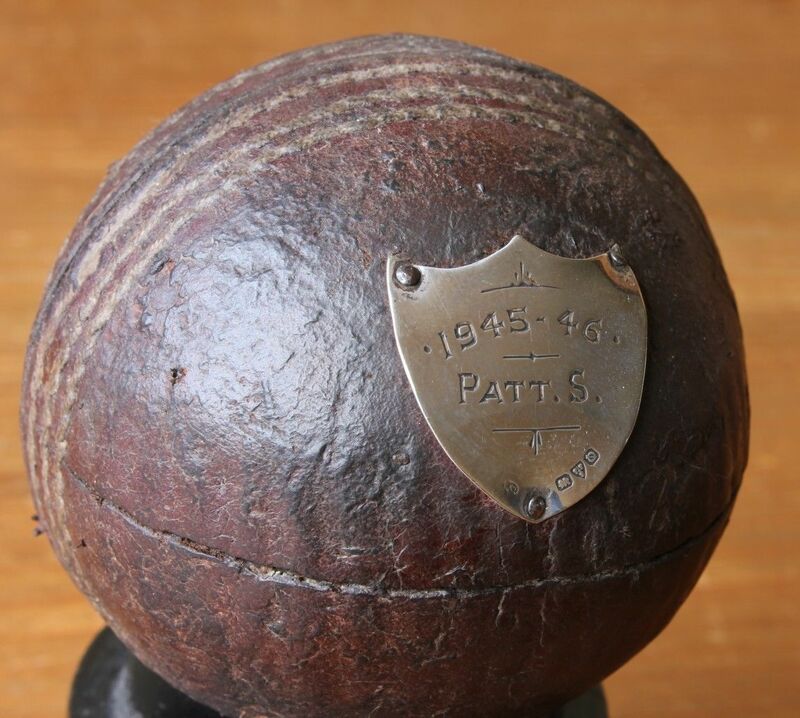 Patt.S". 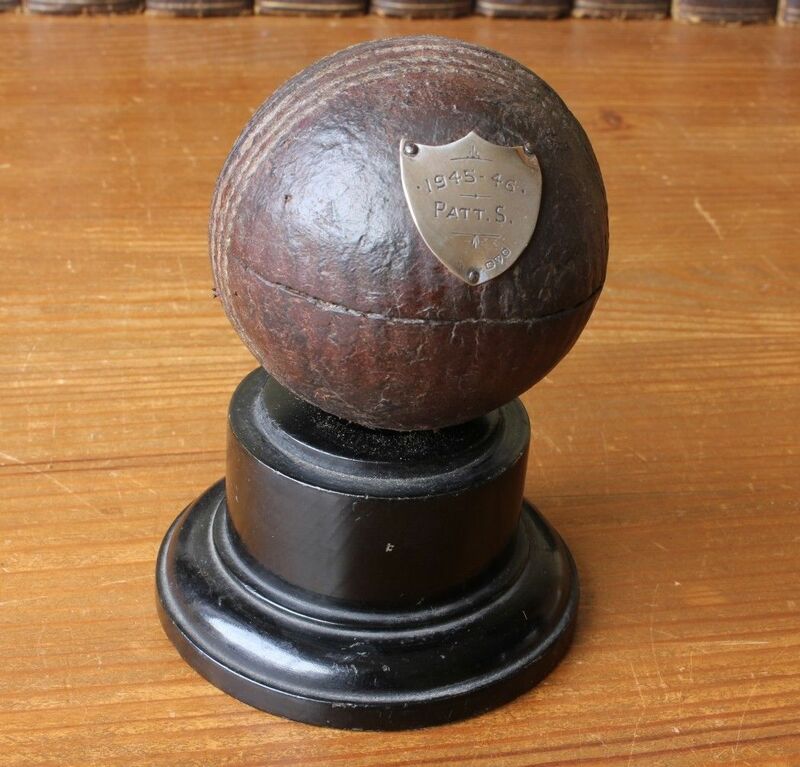 The silver plaque is hallmarked for Chester 1939. 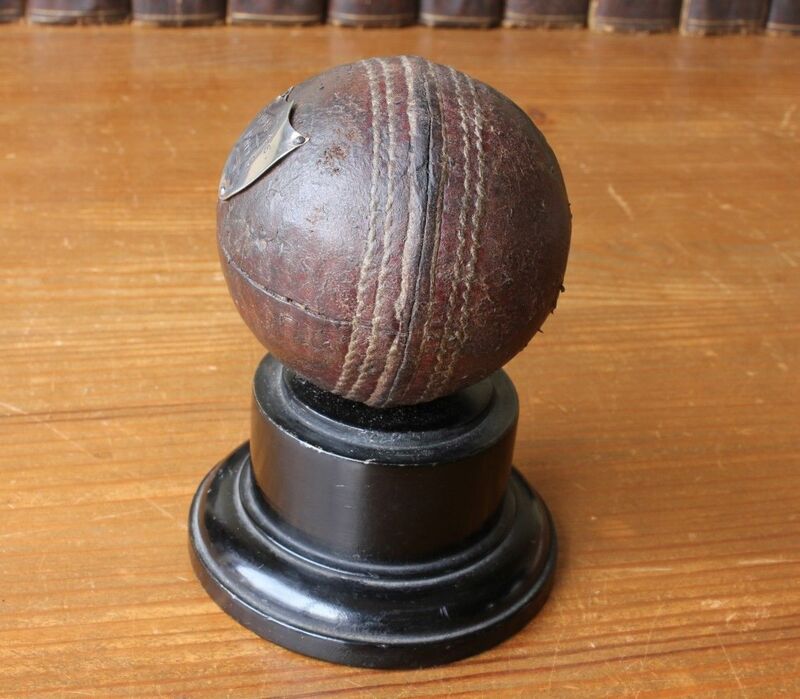 Would make an interesting addition to a collection of cricket memorabilia and looks wonderful on display. Hallmark: Lion for Silver. Chester. Date letter o for 1939. 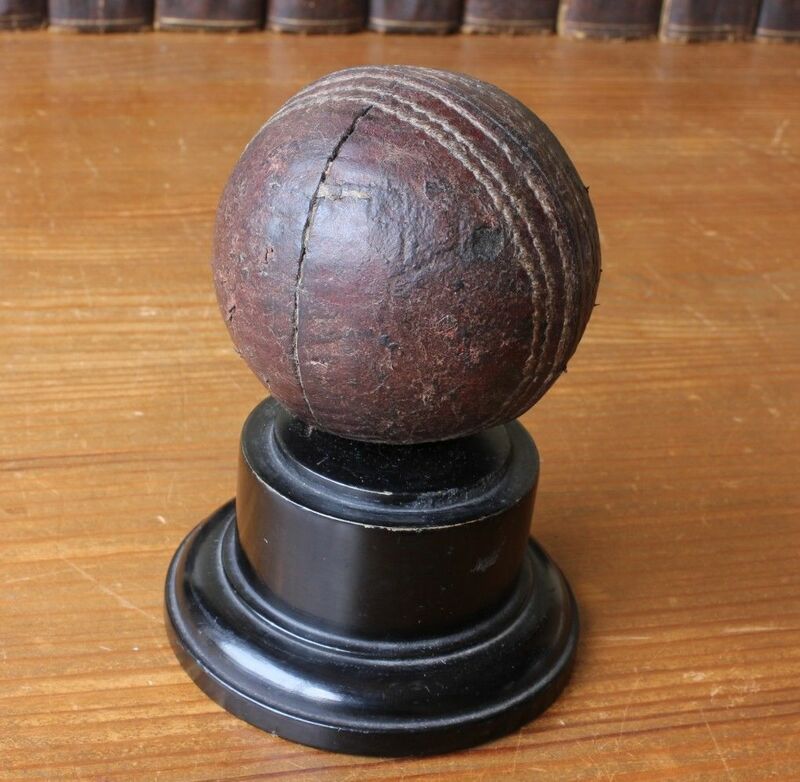 Height: 12 cm - 4 3/4" approx. Condition: Well used vintage condition with signs of use and wear with a wonderful patina. Please see pictures.